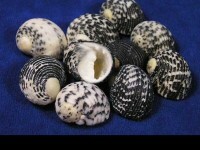 eBlueJay: 2 Large Hermit Crab Shells 1 inch opening Approx 2"
2 Large Hermit Crab Shells 1 inch opening Approx 2"
2 (TWO) Piece Large Hermit Crab Shells 1 3/4-2 inch real genuine shells, 3/4"-1 inch opening - Petholatus Jade Turbo Tapestry Turban Sea Shel. 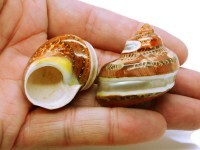 TWO real for hermit crabs with two pearlized white bands, Turbo petholatus, measuring approximately 1 3/4 inches to 2 inches in size. 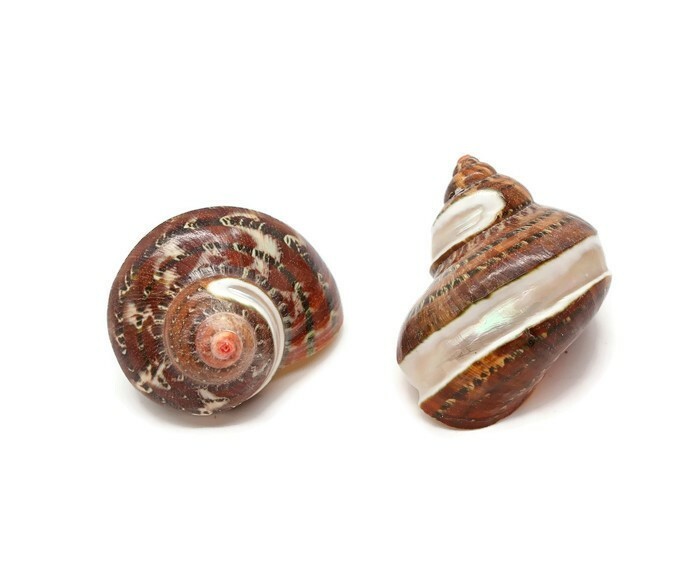 These double pearl banded tapestry turbos are used for hermit crab shells, in shellcrafts, including making shell mirrors, seashell ornaments, shell candles, shell art, and numerous shell craft products. 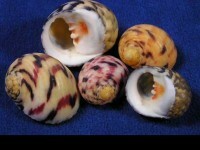 Tapestry turban shells are found in the Indo-Pacific region on reefs. 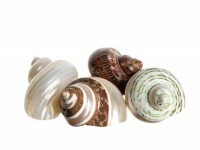 This is a large family of top-shaped snails, usually with thick shells, an iridescent interior, and usually with a green operculum, called "cat's eye" that seals the aperture. 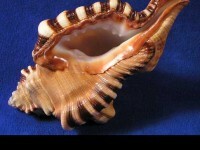 Most species are vegetarians, feeding on marine algae. 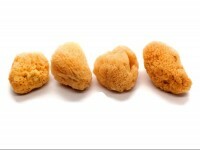 NOTE: This is a NATURAL PRODUCT. 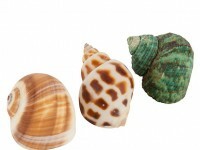 Please review the photo showing 20 shells to see the variety in colors. 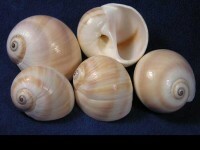 You will receive TWO shells. 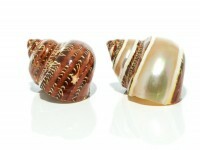 100% Genuine Natural Hermit Crab Double banded pearlized Seashells - You get TWO shells! 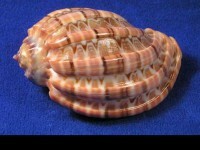 Approximate size is 1 3/4-2" length, with about a 1 inch opening. 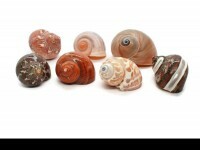 Absolutely gorgeous shells. Perfectly polished and ready for display.